Leo joined Transparency International EU in 2015 to coordinate our project on the transparency and democratic accountability of EU economic governance institutions. 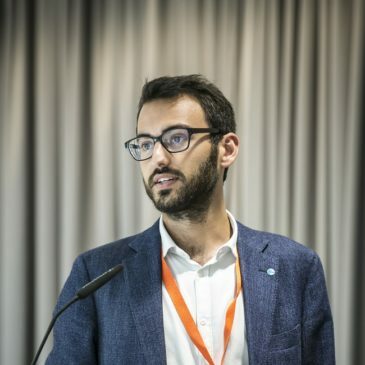 Prior to joining TI, Leo worked at the European Commission's Joint Research Centre and in the Director-General's team at DG Economic and Financial Affairs (ECFIN). Before entering EU affairs, he had a stint as disarmament attaché for the pacific island Republic of Nauru at the UN in New York, and worked to achieve the UN Treaty on the Prohibition of Nuclear Weapons as co-founder of the Nobel Peace Prize winning International Campaign to Abolish Nuclear Weapons (ICAN) in Germany. He continues to be ICAN's EU-representative in Brussels. Raised between Berlin and Venice, Leo studied international relations, EU political economy, economics and anthropology in Berlin, Dresden, Buenos Aires and the College of Europe in Bruges.